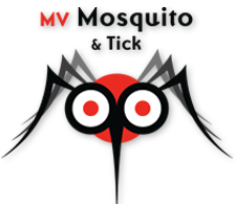 MV Mosquito & Tick provides the freedom to reclaim your outdoor space naturally, without the worry or nuisance of summer deer ticks, mosquitos, fleas and even ants. Now, people can actually enjoy their outdoor gatherings and not run inside when the sun starts to set! The mosquitos are gone, the ticks aren’t lurking in the high grass and you can reclaim your backyard or deck, day or night, from May until the end of September. Trust the people who brought organic landscaping to the Vineyard. This natural, synthetic product, while not organic, is safe and secure. MV Mosquito & Tick is a division of Working Earth Organic Gardening & Landscaping, Inc., of Edgartown which was established in 1990 by Jude Villa.